26 | 29 OCTOBER 2013, VAXJO , SWEDEN. 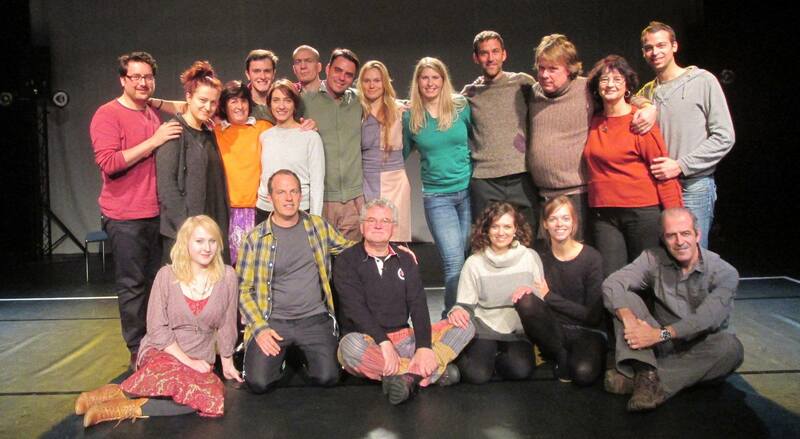 THIRD WORKSHOP CONDUCTED BY MR. BRYAN REYNOLDS, ARTISTIC DIRECTOR OF TRANSVERSAL THEATRE FROM AMSTERDAM, HOLLAND. On the first day, there was an open workshop where the participants learned more about Transversal Theatre unique approach to theatre. The main focus for the whole workshop was the co-creation of the performance Railroad. The performance theme was the Holocaust. The performance was held at Regionteatern Blekinge Kronoberg, October 29 (Thuesday). 19.00.